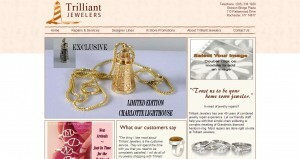 Trilliant Jewelers address, phone, website, hours of operation, and more. Trilliant Jewelers specializes in jewelry repairs and custom design. Let our experienced staff assist you in restoring your favorite ring, bracelet, necklace, or earrings back to looking new again. You can be confident knowing that your jewelry will be safe and secure at Trilliant Jewelers with on-site jewelry repairs. The owner, George Runciman, can create a one-of-a-kind piece ideal for that upcoming special occasion. Whether you have a design in mind, are looking for the perfect diamond, or have gemstones to be set, George can walk you step by step through the process. Call us today to make an appointment. In addition to doing excellent repair work and phenomenal custom design, our store prides itself in stocking a very unique collection of fine jewelry. We offer classic wedding bands, stunning sterling silver pieces, lovely estate jewelry, fragrance lamps, hand blown glass ornaments, and much more. 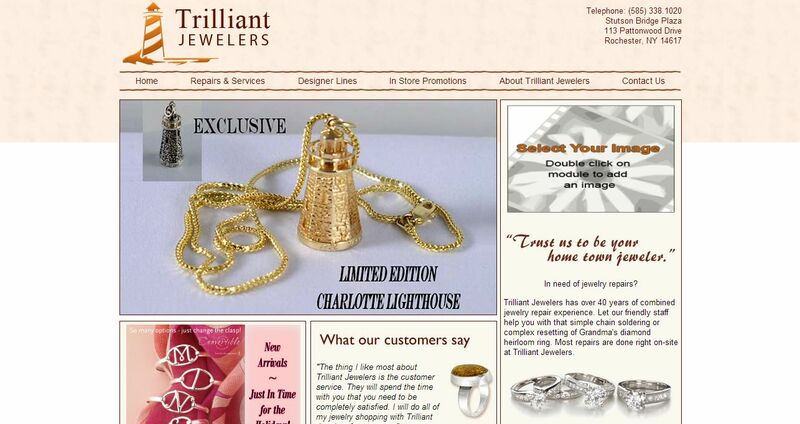 Trilliant Jewelers has the privilege of carrying some extremely popular nationally advertised brands. CHAMILIA, the hottest designer bead line has been a huge hit with so many of our clients. BENCHMARK wedding bands offer extremely popular designs which are available in yellow and white gold, platinum, palladium and several alternative metals. DOBBS BOSTON is a beautiful line of sterling silver bracelets, earrings, necklaces, and rings. GLASS EYE ornaments, floppy bowls and vases are handmade in the USA. ALEXANDRIA ‘s are innovative air purification and aromatherapy fragrance lamps featured in many different styles, colors. Their fragrances are offered in an array of fantastic scents.